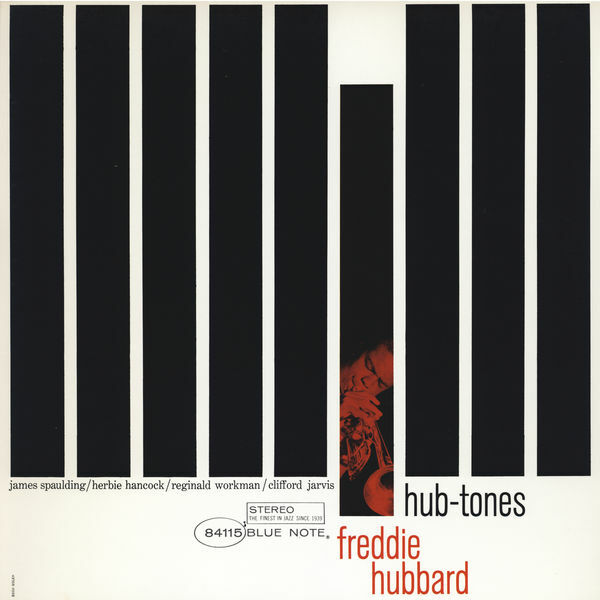 Freddie Hubbard is considered among musicians as one of the trumpet legends. He probably is one of the typical “musician’s musician”. He has, as my title indicates, played with the Jazz Messengers, but has played with pretty much every well-known Jazz musician of the period, be it John Coltrane, Miles Davis, Wayne Shorter, Herbie Hancock, you name it. He also plays on The Blues And The Abstract Truth, one of my 25 Essential Jazz albums. Why the 1962 Blue Note album Hub-Tones? Well, I was torn for a while whether I should feature Open Sesame, Ready For Freddie (both released 1 and 2 years prior to Hub-Tones on BlueNote), or one of the two subsequent releases on Impulse, The Artistry of Freddie Hubbard, or The Body And The Soul. You get the picture, these years between 1960 and 1965 were highly productive for Freddie, and all of the above mentioned albums are worth having. One of the reasons I chose Hub-Tones is probably the cover. Blue Note’s cover art from this period was generally excellent, but I really like the minimalist cover of this particular album. The other reason is Herbie Hancock, which I prefer slightly to McCoy Tyner on the two previous Blue Note albums (yes, I have a piano background so those things matter to me). Finally, this album features a lot of Hubbard originals, which I really appreciate. Another great artist on this album is James Spaulding playing the flute and alto sax alternatively, who is not that well known these days, but has played as a sideman for a large number of Blue Note albums.